What does a 13-year-old community-based non-profit do when the neighbourhood undergoes sudden transformation and key funding sources evaporate at the same time? Regent Park Focus Youth Media Arts Centre decided to contact Endeavour Volunteer Consulting for Non-profits for help in developing a new marketing strategy focused on strengthening sustainability. 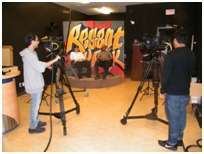 The centre trains and mentors youth in the community of Regent Park in new media, radio and television broadcasting arts. It also creates and broadcasts media content that builds social cohesion by featuring the neighbourhood’s cultural life and providing community members with opportunities to explore issues and share stories. Two recent developments, however, clouded the future outlook for the home of Catch da Flava Radio and Magazine, Photography Gallery, Radio Regent and award-winning Regent Park TV. First, the neighbourhood of Regent Park, which is Canada’s oldest and largest social housing complex, was undergoing rapid and massive redevelopment into a mixed-income, mixed-use community. Second, the centre suffered a recent loss of core funders. With only a small team of five staff members, Executive Director Adonis Huggins approached Endeavour to develop a marketing strategy that would support the long-term success of the centre. In order to gain broad and deep insight into the centre’s problems, Endeavour conducted extensive marketing research including focus groups and surveys of stakeholders as well as a detailed competitive review. The team also prepared a SWOT analysis – an assessment of the centre’s strengths, weaknesses, opportunities and threats, along with financial feasibility studies to determine the viability of several potential projects. With this detailed picture of the organization, Endeavour developed numerous recommendations aimed at fortifying the organization’s marketing bench strength. While the Board and management are currently discussing the implementation of recommendations, the centre has already realized significant benefits from participating in this consulting engagement. Endeavour’s findings and recommendations catalyzed productive conversations among Board members. As well, the frameworks and tools Endeavour provided, including a compelling pitch deck for staff to present the centre’s message to potential partners, amplified the organization’s marketing capacity. 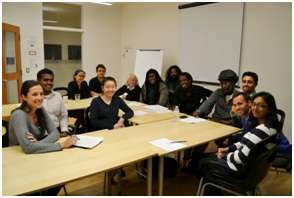 As the Board sets new directions for Regent Park Focus Youth Media Arts Centre, staff members hope to work with Endeavour again to update marketing planning. For a non-profit dedicated to maintaining a sense of community and empowering youth to participate in its health and growth, these results are good news.